Having trouble breathing, dried out skin or just feel the need to humidify the air in house a little bit more? Then yes, you can just keep a glass of water in every room or get a humidifier that won’t do any justice to your interior. Or, you can get an humidifier that actually does the job and looks good at the same time! The Humidifying Tower is a one of a kind. The humidifier holds up to 91 ounces of water, has 3 fan settings and after being filled with water, it runs for up to 20 hours. 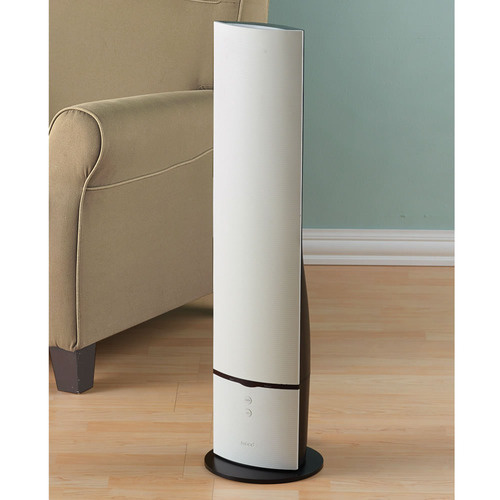 With its 24 inches of length and 5 inches of width, the Humidifying Tower takes up the minimum amount of space in every room while giving an extra modern touch to your home. The Humidifying Tower retails for $299.95. For more information or to purchase your own, click here.